Click on a link below to find out how NNT Change Tracker Gen7™ can incorporate Device Hardening, File Integrity Monitoring, Change & Configuration Management, and Security & Compliance Management into your IT system for a comprehensive security solution. NAPLES, Fla., May 8, 2018 -- New Net Technologies (NNT), today announced it has received certification of its application with ServiceNow, available now in the ServiceNow Store [NNT ITSM Integration Module]. NAPLES, Fla., Oct. 24, 2018 -- New Net Technologies (NNT), leader in security through system integrity, today announced significant advances to its flagship change control solution with the release of Change Tracker Gen7 R2. Gen7 R2 solves IT Security and Service Management problems that plague every organization. NNT is pleased to announce their newly confirmed status as a participating member in the SANS Institutes Affiliate Vendor Program. 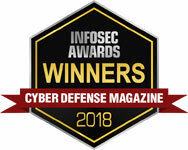 New Net Technologies (NNT), the leading provider of cyber security and compliance software solutions, has been recognized as a Top 20 Cyber Security Leader of 2016 by Cyber Defense Magazine, the industry’s leading electronic information security magazine. The most comprehensively featured and easy to use version yet. New Net Technologies Ltd has been selected for the 2016 Best of Naples Award in the Computer Security Service category by the Naples Award Program.